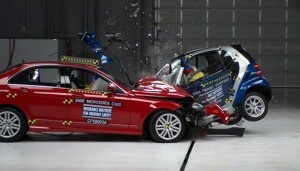 Improved vehicle design gets some of the credit, experts say, for declining highway fatalities. While officials caution it’s still a sizable toll, U.S. highway deaths dropped to 32,788 last year, the lowest level since 1949, continuing a relatively steady decline that safety experts credit to a variety of factors. The 2010 number was a 3% drop from the year before, when 33,808 Americans were killed in motor vehicle and pedestrian collisions. And the 2009 number was itself a nearly 10% decline from the year before that. Exactly what is behind the latest dip in highway deaths is likely to trigger a flurry of debate. Often, in years past, sharp declines in the overall death toll accompanied economic downturns, when American motorists reined in discretionary driving. But that wasn’t the case in 2010. After two years when U.S. motorists curbed their travel, driving distances increased again in 2009 and 2010. Yet, the actual death rate adjusted for the amount Americans drive dropped to a low not seen since the presidency of Harry Truman. The death rate per 100 million miles driven slipped to 1.13 in ’09, before dropping again to 1.09 last year – the lowest figure, coincidentally, since 1949. Most experts agree on some factors behind the decline, notably the steady increase in seatbelt usage, which rose to 84% in 2009. Many states now can enforce belt laws without having to pull a motorist over for another violation. There’s general agreement on the importance of the nationwide crackdown on drunk driving, a scourge that was once blamed for as much as half of all driving deaths. Delaying the drinking age for young drivers also gets credit, as do programs designed to restrict teens during their first years on the road. Give some credit to improved roadway design and the use of better safety features, such as crash barriers. Jack Peet, a former law enforcement officer and now traffic safety manager for AAA Michigan, also points to “improved emergency medical response,” noting that a call to 911 will quickly bring trained personnel with life-saving equipment that wasn’t available to ambulance crews of the past. Automotive manufacturers have unquestionably improved the design of their vehicles – so much so that federal regulators had to redesign some testing procedures since the majority of products were earning top ratings. LaHood has declared distracted driving a “deadly epidemic.” And there is general consensus some behaviors need be barred. “There’s no disagreement about texting, which is not conducive to safe driving,” emphasizes Louis Tijerina, a senior technical specialist with Ford Motor Co.’s advanced engineering department. But other assertions are generating controversy. Some advocates, like AAA’s Peet, question the safety of not only texting and the use of handheld phones but even hands-free Bluetooth systems and voice-operated navigation systems. The AAA even challenges the benefits promised by some new technologies designed to improve safety by warning drivers, for example, of a car hidden in their blind spot. This, the organization warns, can lead drivers to turn their attention away from the road believing the car itself will do the work. “If cellphones and all the other new technologies are so dangerous, why aren’t we seeing carnage on the highways?” asks Aaron Bragman, automotive analyst with the consulting firm IHS. While the debate over distracted driving – and what steps should be taken – will likely continue, experts agree on the need to keep pressing to improve highway safety. This entry was posted on Friday, April 1st, 2011 at and is filed under Automobiles. You can follow any responses to this entry through the RSS 2.0 feed. Both comments and pings are currently closed.